The Chart of the Day belongs to Spark Energy (SPKE). 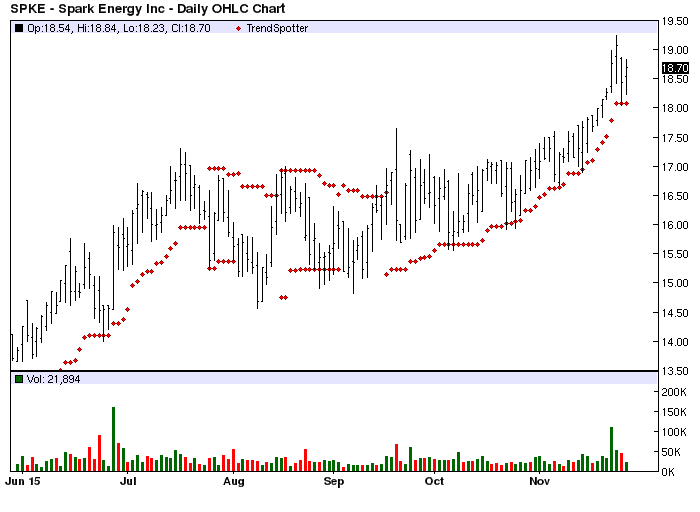 I found the energy services stock by using Barchart to sort the Russell 3000 Indexstocks for the highest number of new highs in the last month then used the Flipchart feature to review the charts. Since the Trend Spotter signaled a buy in 9/17 the stock gained 12.18%. The 20-100 Day MACD Oscillator has been the most reliable technical trading strategy for this stock.